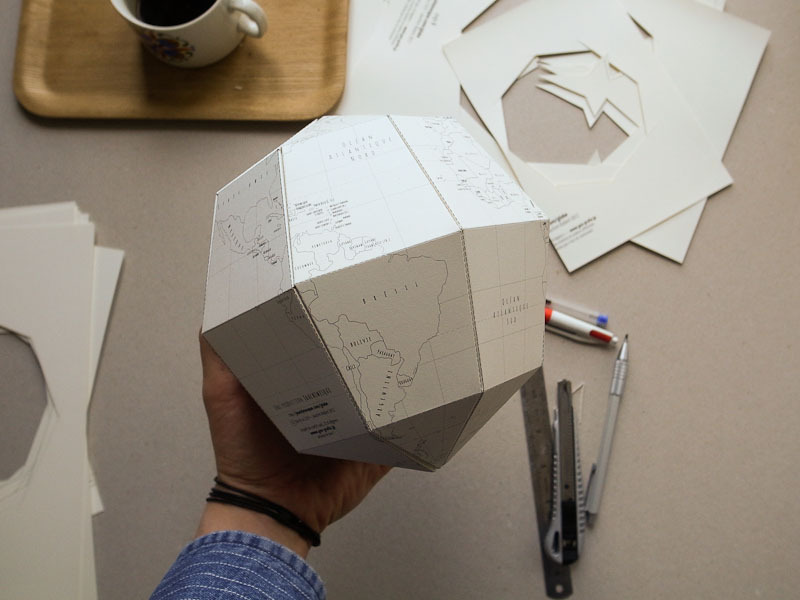 Le Paper Globe is the template of a do-it-yourself terrestrial globe. 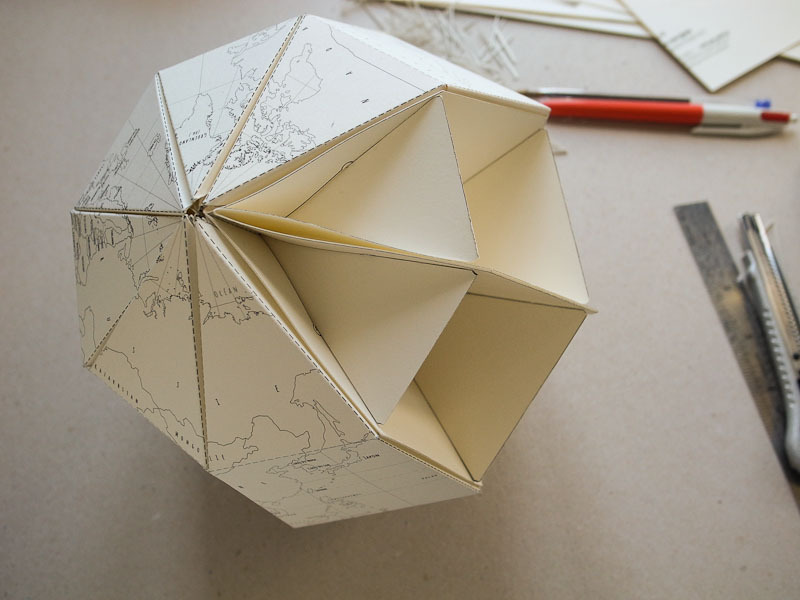 Not only will it look neat in your living room, it is also a very good learning tool for Geography and Geometry. Please don't hotlink the PDF file. Instead, link to this webpage. Thanks! This template is shared under a Creative Commons license. 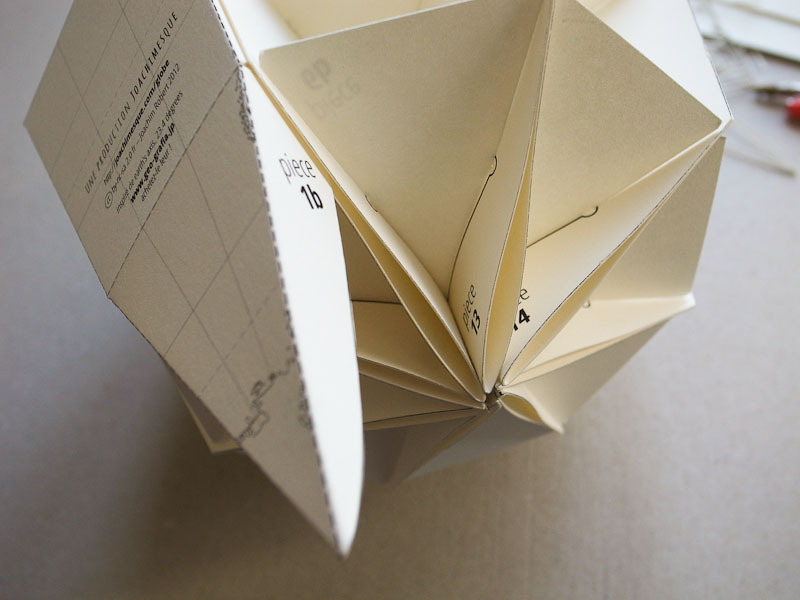 First, print the 14 pages on heavy weight paper (50 lb to 80 lb or 200 to 300g/m2). This step can be done with a laser or an inkjet printer. If you're from North America, be sure to download the template file for the US Letter format. Brew a cup of coffee, but put it aside because it's too hot right now. Cut the shapes along the black edges. This step is the longest. The best way to make clean folds is to mark the folding line with your ballpoint pen on the back of the paper, so that the fold will follow it cleanly. 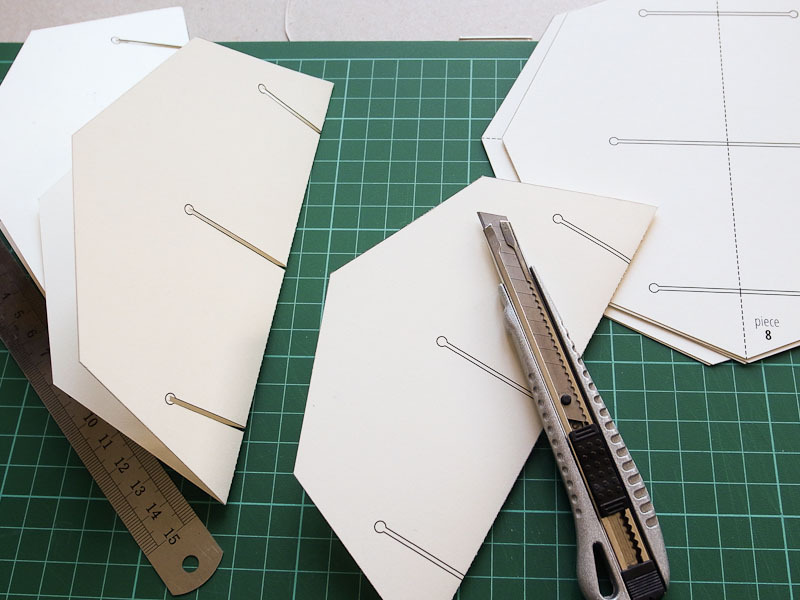 Fold the side wings, then mark the folds on the equator and the 45th parallels. 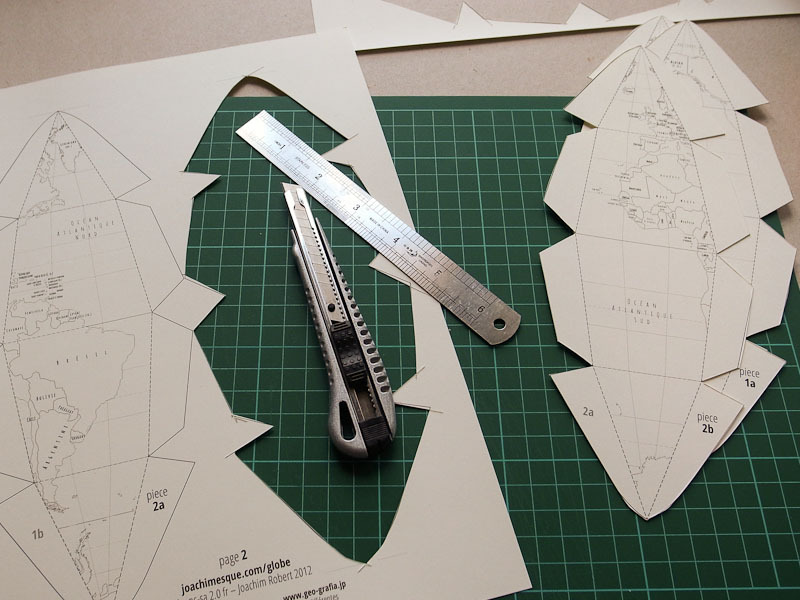 Fold the octogons along the dashed line (use the technique from the last step), then cut out the three inside pieces. 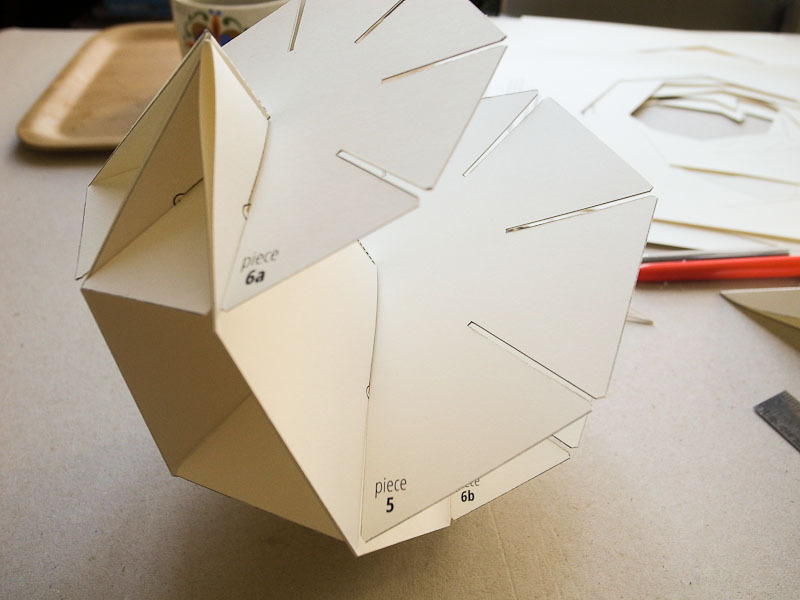 Assemble the insides of the globe by fitting the folded octogons (pieces 7 to 14) in the pieces 5, 6a & 6b. The coffee should now be too cold to drink. Micro-wave the cup. 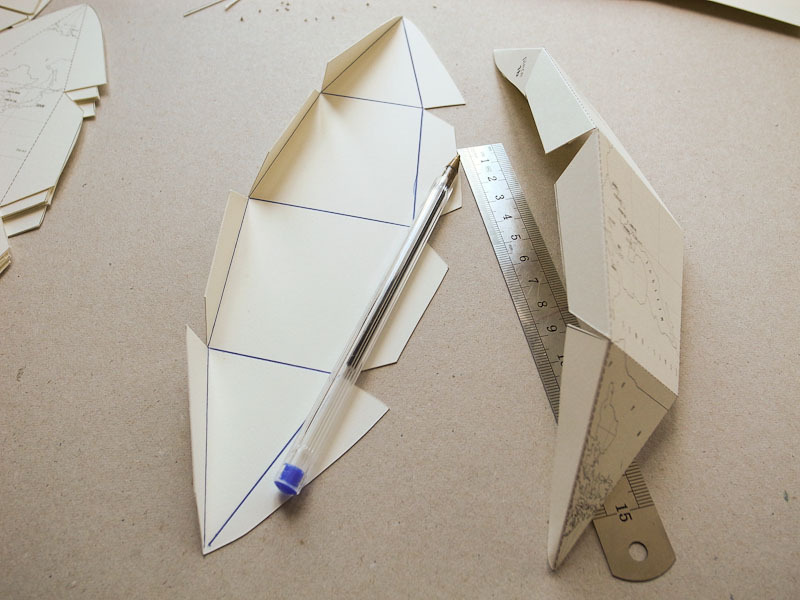 Fit the side wings of the exterior pieces (pieces 1 to 4) inside the slits created by the folded octogons. Repeat 7 times, be careful not to put the USA in the middle of Russia. World Wars happened for less. Don't hesitate to post your pictures on the Flickr group, on the Facebook page , on Twitter : #lePaperGlobe, or even Tumblr : #le Paper Globe! The coffee waited too long in the microwave, it's turned bad. Brew another cup and drink it while admiring your paper globe, you earned that! This project has been directly inspired by the Sectional Globe — earth’s axis, 23.4 degrees, created by geografia, a Japan-based design studio. 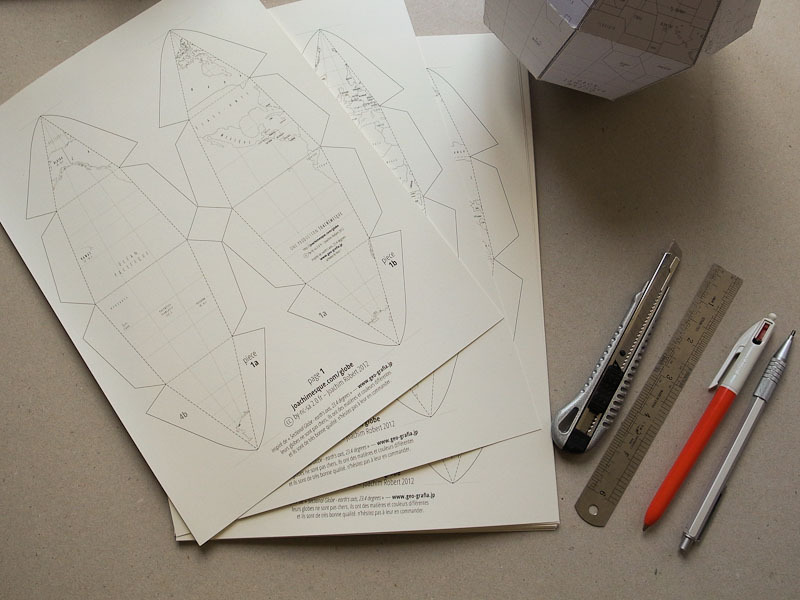 You should buy their globe : the various concepts and materials are very interesting. Some are printed with phosphorescent ink, some are made with bamboo fibers, it's quite different from what you can get with your desktop printer! A+R Store - Sectional Globe"
I don't have any affiliation with the shops linked. 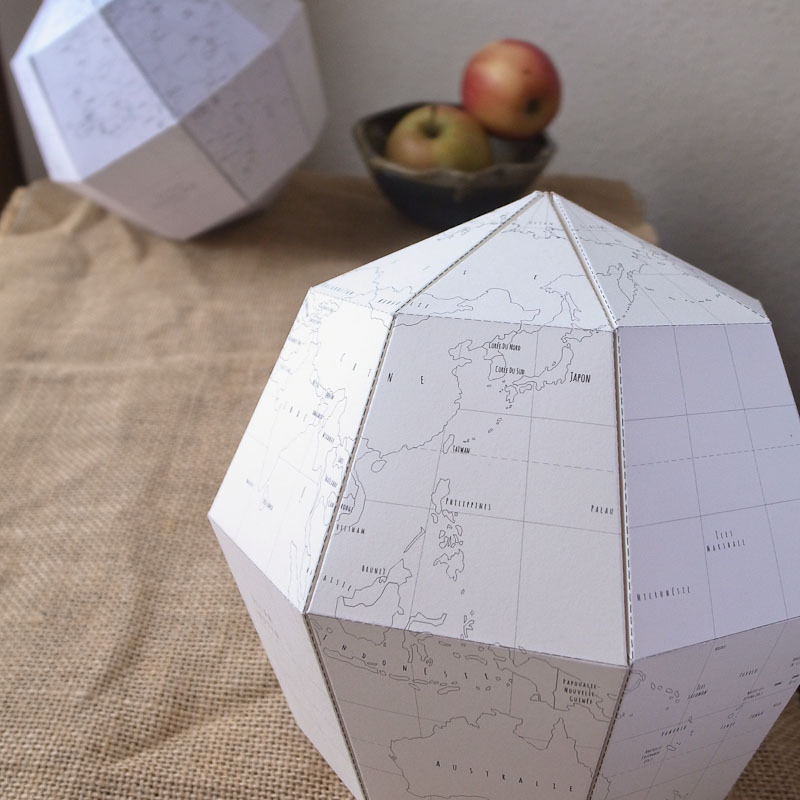 If you like this globe, you should consider buying one! Thank you, beta testers! Follow them on Twitter, they are nice and smell good. & also Zoe, Kate and Emilia who helped me with the translations! The globe template PDF is distributed under a Creative Commons BY-NC-SA 2.0 fr license. This means that you can use it, share and modify/remix it as you want, but you can not use the template for commercial purposes and you must distribute it under the same Creative Commons license, and you should not forget to mention me as the author of this template. My name is Joachim Robert. I'm a graphic designer, I also enjoy taking photographs. 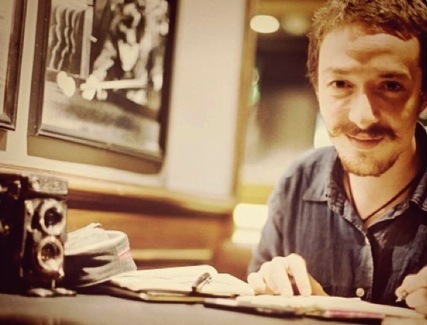 I like to collect globes and maps, and I even travelled around the world for about a year. You can follow me on Twitter : @joachimesque.